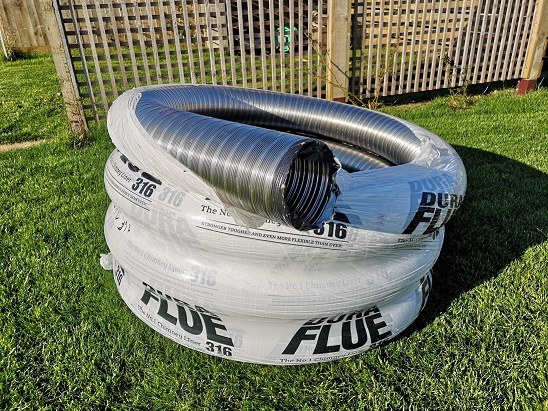 How long will my new Flue Liner last? Home/How long will my new Flue Liner last? Flue liner last time depends on many factors. This will depend on frequency of use however and the type of fuel used. For example, if you are using smokeless fuel such as anthracite. Smokeless fuels tend to be more corrosive and hence affecting how long your flue liner last for. We recommend using 904 grade flue liners for smokeless fuel. 316 grade liners are much cheaper than their 904 brothers. 316 flue liners are perfectly fine with wood burners and log burners. With respect to Flexible Flue Liners; in general 316 grade liners carry a 10 year guarantee and 904 grade up to 25 years. All liners must carry the CE mark to conform to current regulations. Will my flue liner last longer if swept regularly? Absolutely! Regular chimney sweeping helps remove corrosive creosote and soot. Furthermore, it helps prevent chimney fires. However, make sure you choose a professional sweep. An experienced chimney sweep knows how not to damage your precious flue liner. Make sure they are Hetas registered and are fully insured. Will my flue liner last longer if I use seasoned, dry wood in my wood burner? Yes, definitely. Using wet and unseasoned logs produce more creosote and soot. This in turn can coat the inside of the liner causing corrosion. There is much info about this online. Only use quality flue liners. Glowing Stoves only use quality flue liners. We DO NOT recommend buying the cheap flimsy liners from the likes of ebay. Duraflue make great flue liners and we use them where possible. They are not the cheapest however, but they are well made and sturdy. Their liners also carry good warranties. Do not be tempted to buy a cheap liner. Its an expensive job to replace a liner and more so if you must do it twice.